Our integrated AC cable strain reliefs and front screw connection terminal blocks allow for quick and easy installation without the added need for ring terminals for AC power connections. Built in 25 Amp designed with soft start noise filtered technology and x2 surge capability for powering demanding loads. Shock resistant construction with internal conformal coated electronics for protection in harsh environments. 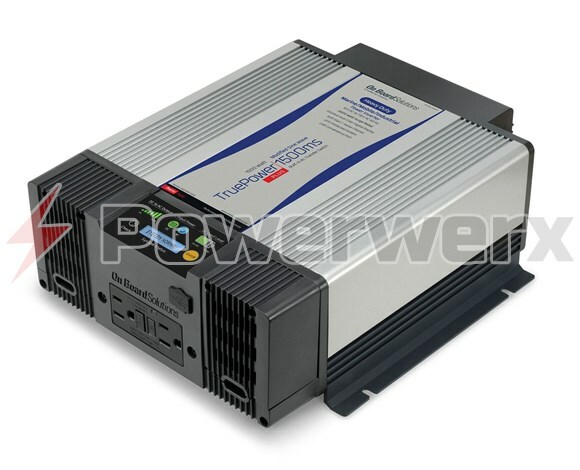 The TruePower Plus 1500W Series provides a Modified Sine 115 VAC output.